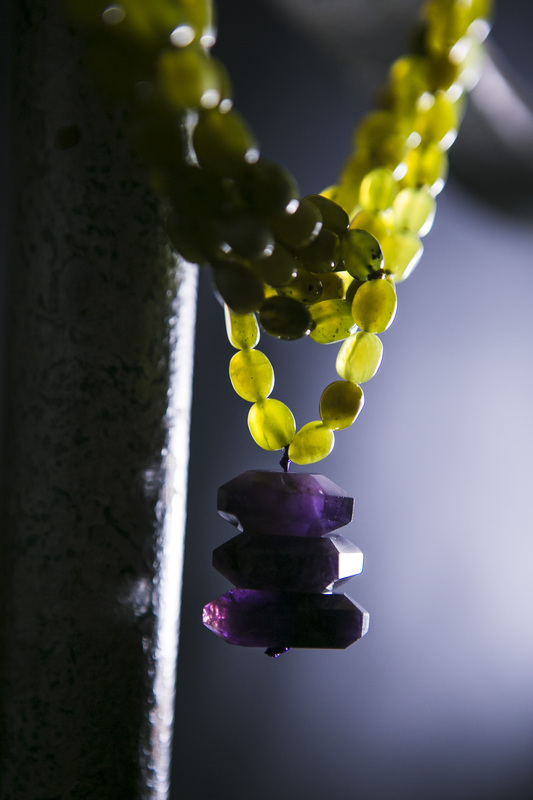 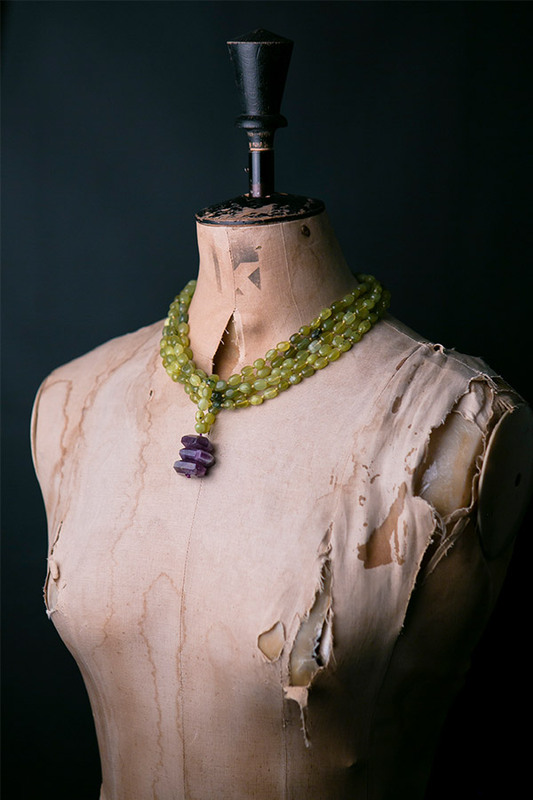 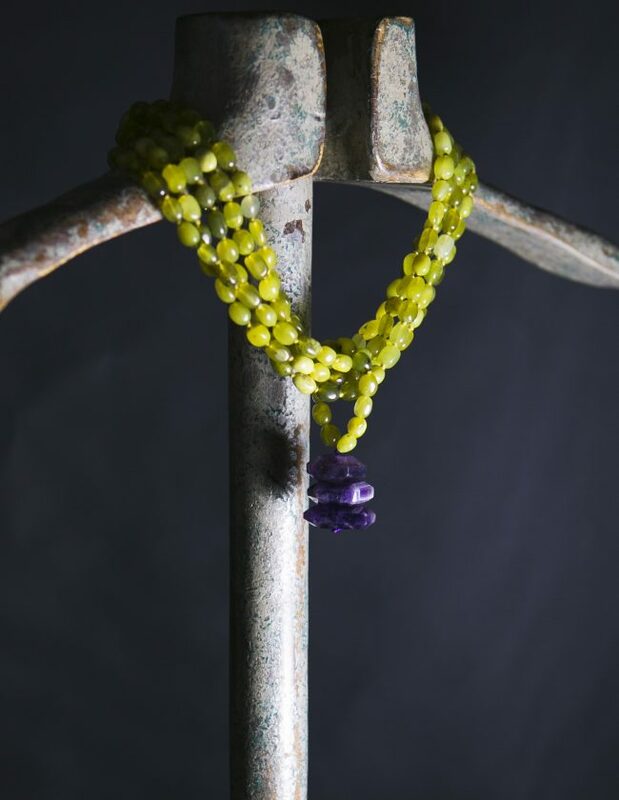 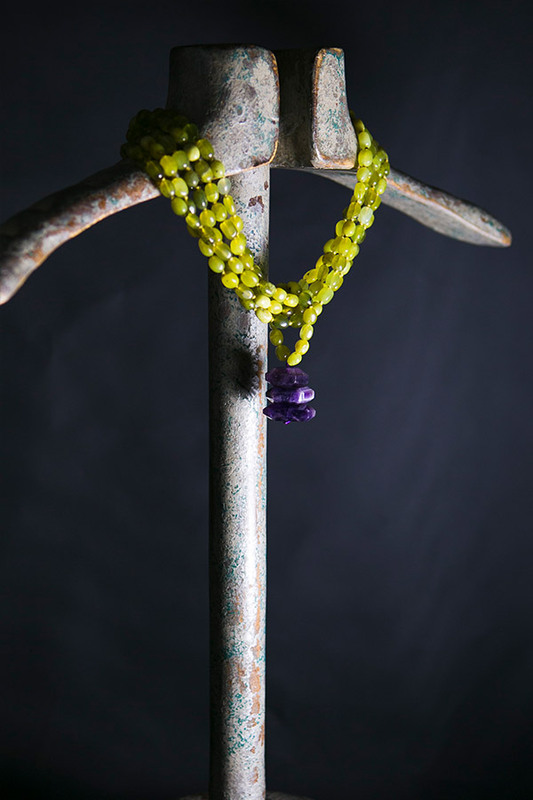 This is a beautiful statement piece; a drop of 3 pieces of amethyst complimented by the 5 strand olive jade toursade. 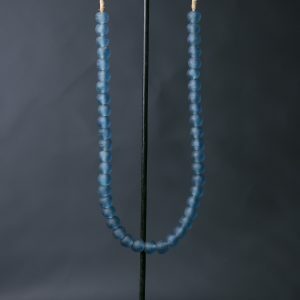 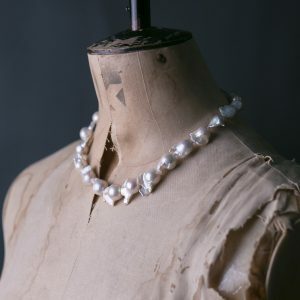 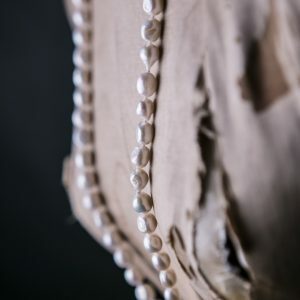 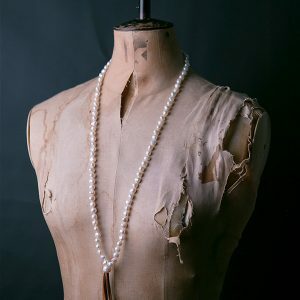 A real show stopper necklace and a life time investment. 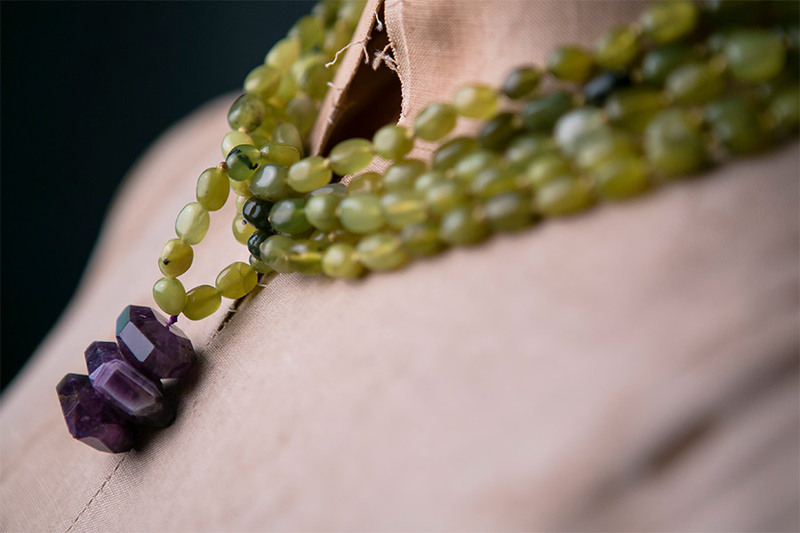 Gems: 3 faceted amethyst slabs 30x18x10mm. 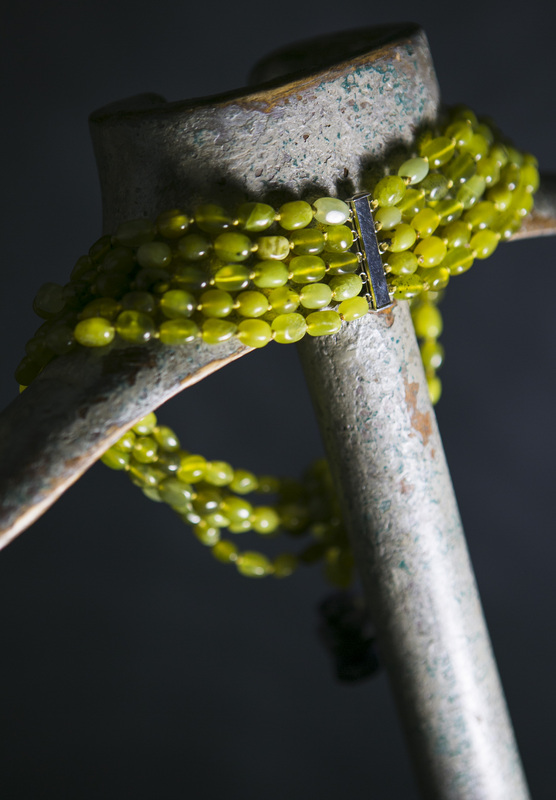 Olive jade nuggets7x10mm.